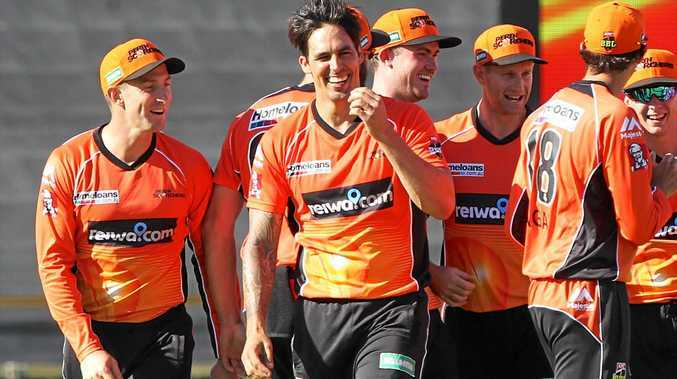 CRICKET: The Perth Scorchers are into their fifth Big Bash final in six years, courtesy of a record breaking bowling performance by Mitchell Johnson. Johnson was at his devastating best, destroying the Melbourne Stars top order at the WACA. The former Australian quick began the carnage taking the wicket of Rob Quiney with the first ball of the Stars' innings. The scalp of Luke Wright would follow just two balls later, leaving the Stars 2/0 from just four deliveries. Johnson would get his name in the Big Bash record books for the first time, equalling the performance of Doug Bollinger - the first man to bowl consecutive maidens in the Big Bash. On that occasion Bollinger's following two overs would go for 22 runs, but Johnson's follow up was even more impressive. 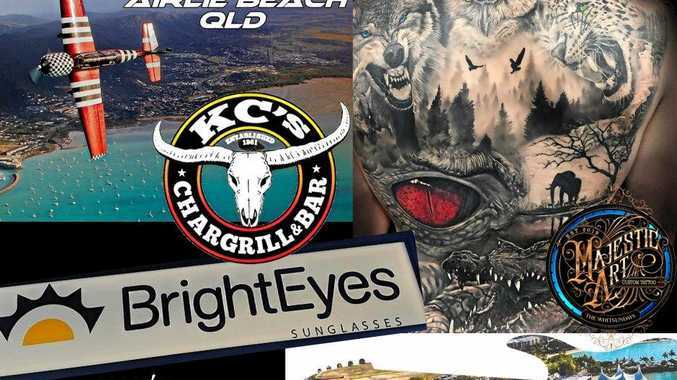 The Scorchers fast bowler landed the prized scalp of Kevin Pietersen in his third over and left the Stars reeling, Johnson's personal tally 3/0. Johnson went 17 balls without a run coming from his bowling, the quick narrowly missing another record when Marcus Stoinis prevented a third straight maiden, taking a single off the final ball of the third over. Johnson would finish with figures of 3/3 from his four overs - again historic. He became the first man to have an economy rate less than the amount of overs bowled. The bowling performance is also unmatched in the short history of Twenty20 cricket. The Stars scrambled their way to 8/136 from their 20 overs, helped by keeper Seb Gotch who looked to spark a rescue mission with a well made 48. The 136 gave the Stars something to bowl at, but it just wouldn't be enough. Johnson was the hero with the ball, but Shaun Marsh helped confirm the victory with the bat. 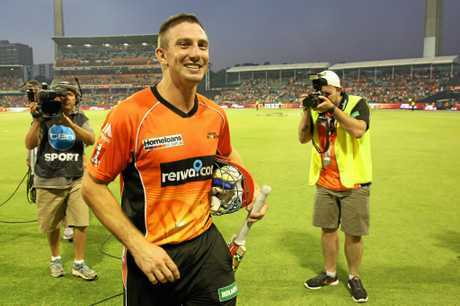 Marsh scored his second consecutive half-century in this season's Big Bash, his 56 piloting the Scorchers to the final. Unfortunately Marsh will not be able take his place in the BBL decider, with the West Australian called up to the Australian One-Day side for the tour of New Zealand. The result again proves that the Scorchers are the Stars' bogey team come finals time. The Melbourne outfit has managed just one victory from five semi-final showdowns between the teams. The Scorchers will host Saturday night's final courtesy of finishing in top spot on the BBL ladder and await the winner of Wednesday's second semi-final between the Brisbane Heat and Sydney Sixers. Johnson's bowling display will steal all the headlines and Network Ten commentator Damien Fleming said it will be hard to find a better example of fast bowling in the short form. "Probably one of the best T20 spells of bowling that I've ever seen." Fleming said. "Unbelievable effort for him (Johnson). He has been working really hard and to see where he's at now, the last couple of games, he is back to his best." Johnson revealed post game that his bowling has been helped by a basic approach and a need to not over complicate things, as Scorchers coach Justin Langer takes it easy with the quick. "He keeps it simple for me," Johnson revealed. "He says - 'Go out and bowl quick'." We may not have seen the last of Johnson either, with the paceman content to continue his resurgence in T20 cricket beyond the Big Bash. "I will look at the IPL, maybe a couple little tournaments here and there," Johnson said. "But, yeah, the Big Bash next year is definitely on the cards. "I just want to get through this final and play well in that as well."